In late 2014 (Dec-08) I received FTDNA results about my atDNA via “Family Finder” test. 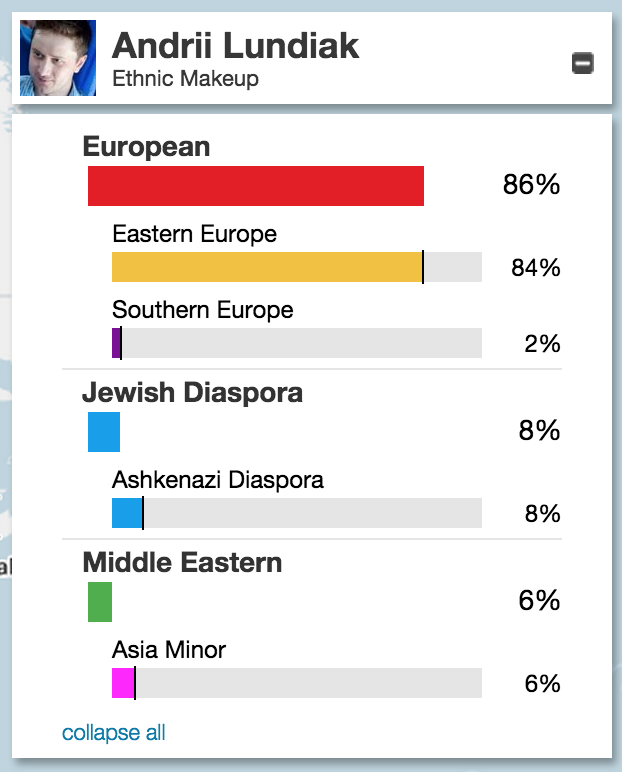 Previously, in 2014 I made Y-DNA test, so I belong to paternal DNA lineage within haplogroup I2. More details here.